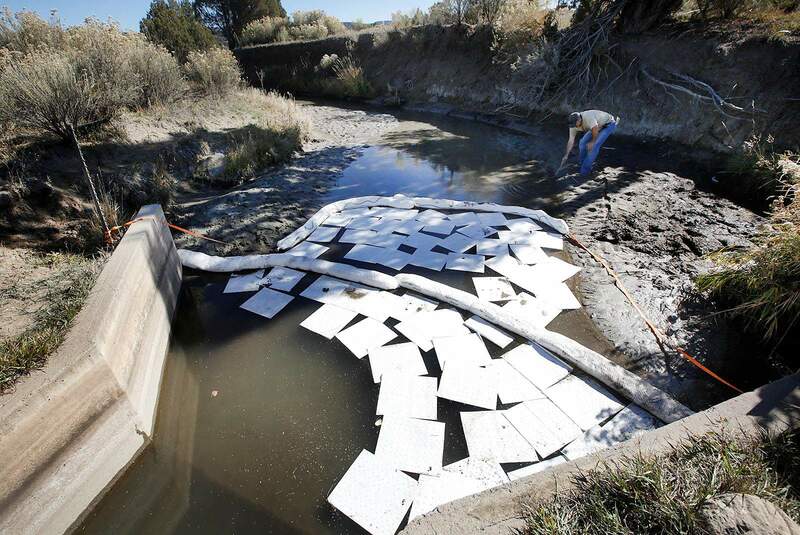 BP personnel place absorbent material on top of the water in an irrigation ditch on Tuesday that flows near La Posta Road (County Road 213) and eventually into the Animas River south of Durango. BP has taken responsibility for a production-water spill in the area that flowed down the ditch and into the Animas River. BONDAD – A wastewater spill from a BP American Production Co. well site that reportedly seeped into the Animas River south of Durango was contained earlier this week, but it remained unknown Tuesday how much was spilled and what contaminates were contained in the release. An emergency notice went out Sunday morning from the Colorado Department of Public Health and Environment that said a spill that smelled like petroleum was coming from an irrigation ditch near La Posta Road (County Road 213) and Rancho Durango Road, about 14 miles south of Durango. The emergency notice said the spill had entered the irrigation ditch and reached the Animas River. BPX (BP’s name for its lower 48 business) spokesman Brett Clanton wrote in an email Monday that the company was made aware of the “produced water” leak Sunday morning and that it was isolated around 10 a.m.
Clanton said Tuesday that BP is investigating the cause of the incident, and that the company does not have an estimate of the amount of produced water that was released. Luis Lozano, who lives next to the site of a BP spill, said he fears the company won’t clean up the irrigation ditch used by his family. Produced water is a term used in the oil and gas industry that refers to the water brought to the surface during oil and gas drilling operations to allow gas to release from coal seams. The chemical makeup of produced water varies depending on its location. It has been known to contain high levels of brine, as well as hydrocarbons, such as methane and benzene that can carry negative environmental and health impacts. Mike Leonard, community relations manager for Colorado Oil and Gas Conservation Commission, said water and soil samples were taken to find out what was in the spill earlier this week. It is unclear when those results may be available, he said. Also, Leonard said BP would dig up its water line Tuesday or Wednesday to find out what went wrong. It’s unclear how much, if any, wastewater reached the Animas River. Luis Lozano stirs up mud in an irrigation ditch that flows through his property Tuesday near La Posta Road (County Road 213). A film of unknown material could be seen floating on top of the water. A spill from a BP American Production Co. well site released an unknown amount of produced water into the ditch. 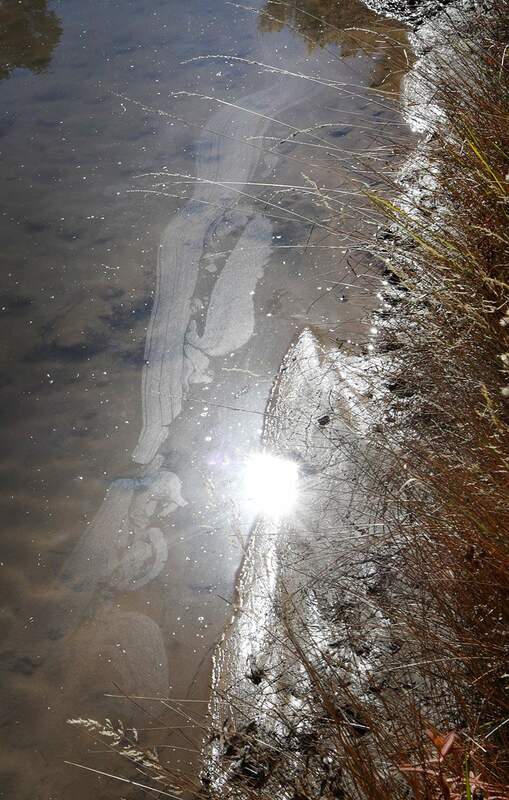 The emergency notice issued by CDPHE, as well as Butch Knowlton, La Plata County’s Office of Emergency Management director, said the spill went into the Animas River. State inspectors with COGCC, however, said they did not find any evidence it entered the waterway. 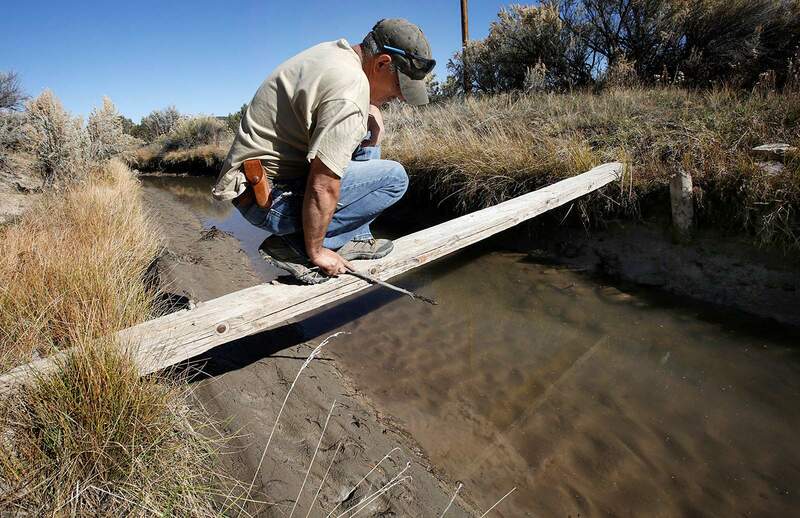 The spill did enter the Citizens-Animas Ditch, an agricultural water diversion. 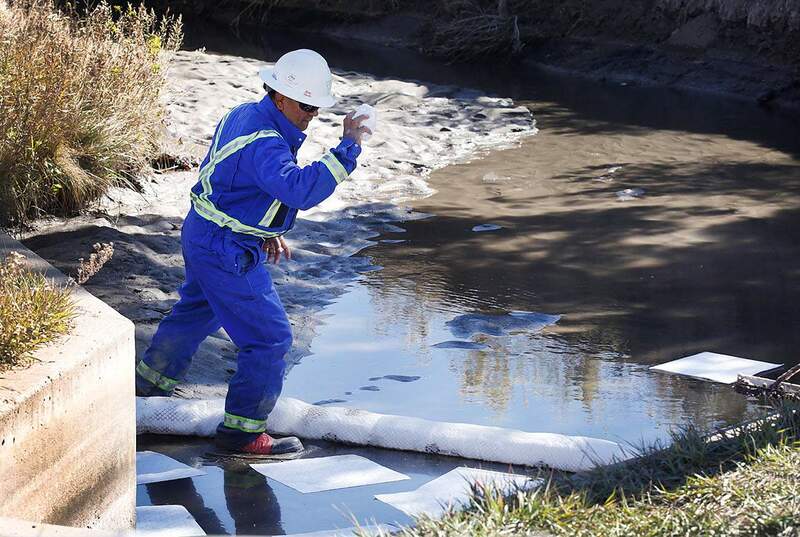 Attempts to reach ditch operators were unsuccessful, so it’s unclear how many people were affected by the spill. Elena Lozano, who lives adjacent to where the spill occurred, said she noticed water laced with oil residue and sludge running through the canal, which crosses her 40-acre property off La Posta Road. A spill from a BP American Production Co. well site released an unknown amount of produced water into an irrigation ditch south of Durango. Three days after the spill, it remained unknown what chemicals were released or how many gallons of wastewater may have escaped a pipeline. Clanton said Tuesday crews were actively monitoring the area for potential impacts and conducting cleanup operations where needed. But Lozano’s husband, Luis, feared BP won’t clean up the sludge and contaminate that now lines the irrigation ditch, which he uses to water his animals. On Monday, the cities of Farmington and Aztec stopped pumping water from the Animas River because of the spill. Mike Mestas, emergency manager for San Juan County in New Mexico, said Tuesday these downstream communities will not pump water from the Animas River out of an abundance of caution.